Work is now complete on the St Oswald’s Retirement Village in Gloucester. The older persons retirement village incorporates 161 1&2 bed apartments and 8 1&2 bed bungalows with communal village centre and associated parking and soft landscaping. The scheme is on the old St Oswald’s Cattle Market site in Gloucester and the upper level apartments all have uninterrupted views of Gloucester Cathedral. 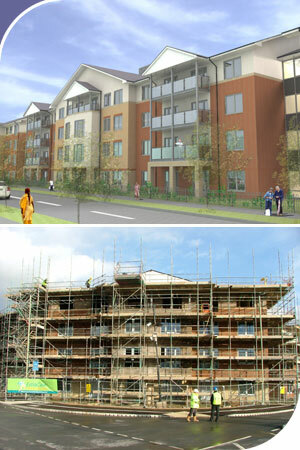 The project won the Gloucester City Council Civic Award in July 2012 for the ‘Best Housing Development’ in Gloucester.